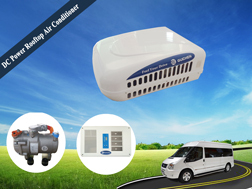 DD as the power pack of the bus air conditioner, the rooftop unit is powered by a sub-engine, special design for the buses which is lack of power to support the working of air conditioning system. 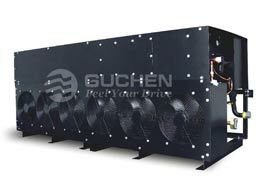 Guchen DD series bus air conditioner can equip with other vehicle engine driven ac units, such as equip with BD, SD or PD series. 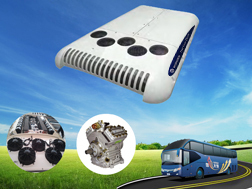 When equip DD series bus air conditioner, the ac units will not rely on bus engine to generate cold air, that is to say, even the bus stops on the half way, the cold air will not stop! 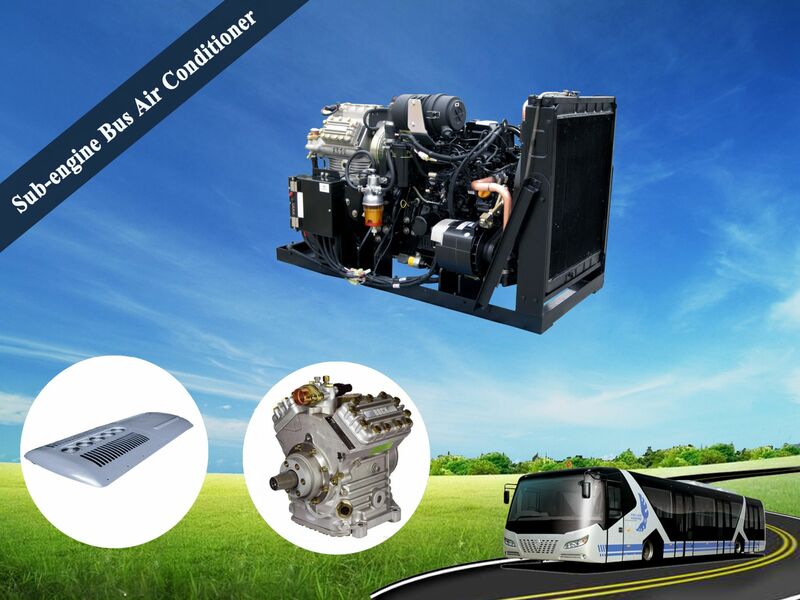 So DD series are also called as “independent bus air conditioner units”. 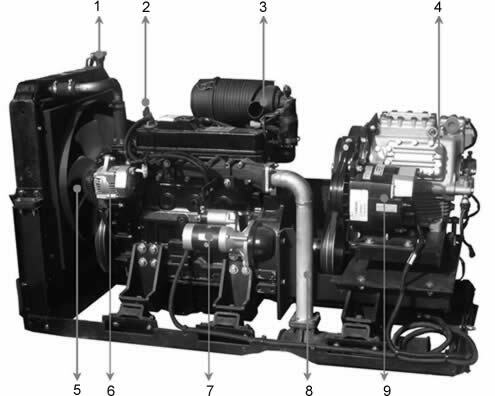 1.Independent compressor drive, stable system pressure, not interfered by the main motor and with both quality of cooling and driving. 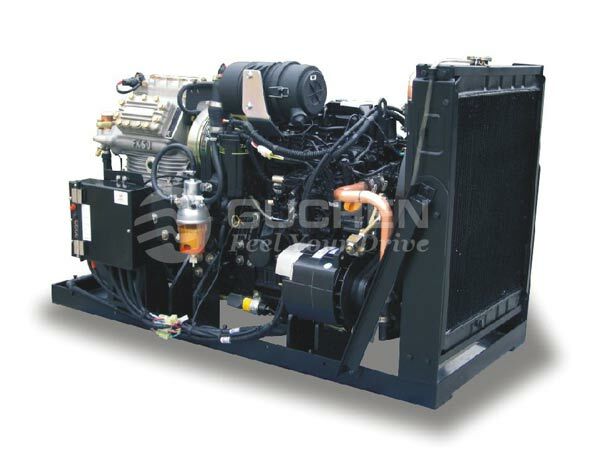 2.Use engine with high quality to ensure low noise, less fuel consumption and match large displacement compressor with strong cooling output. 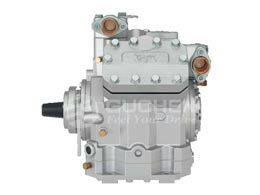 3.Perfect protection function for voltage, coil temperature, system pressure, temperature of motor and oil pressure. 4. 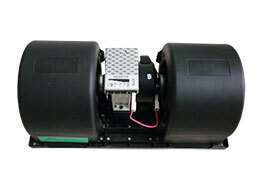 Humanisti rear starter design, rated power is 2.3 kW, rated voltage is 12V, hermetic structure, easy and fast operation and maintenance. 2. 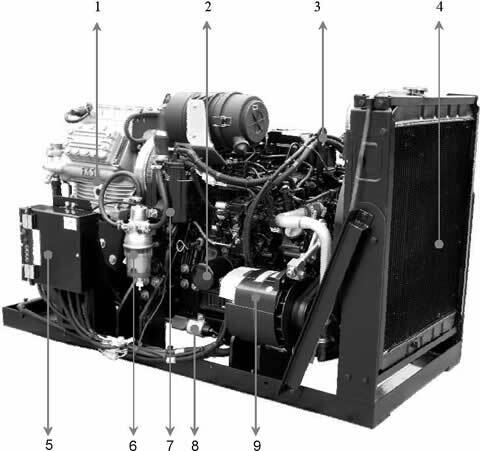 Power output control: cut off the electricity and shut up the fuel supply. 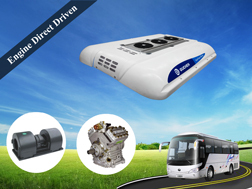 No gauge on the diesel, with oil pressure switch, without water temperature sensor, and the connector of the water temperature sensor is blocked by the bolt to prevent the oil or water leaks. 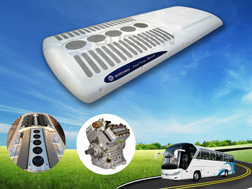 Here is a Guchen bus air conditioner project for Qatar old TATA buses. 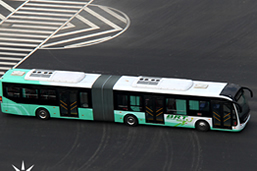 The clients ordered BD series bus ac units and equip with DD series independent ac units for their buses. 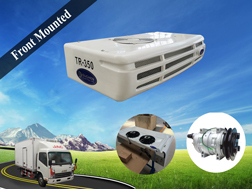 Because of the local ambient temperature is very hot in summer, so equip with DD series are necessary. 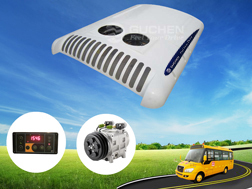 Our customers gave a highly commend on Guchen bus air conditioner system, especially mount on the independent ac, the cooling capacity is enough a lot for their local condition.